Podcast, Tournament Coverage 0 comments on Episode 60: AOS 6 Nations! Episode 60: AOS 6 Nations! …Russ, Les and Byron talk about their experience at the AOS 6 Nations event held at common ground games in Stirling!We discuss our prep and list decisions as well as our games and results. In the last section Terry picks out his fave lists from the event and we discuss what made them so cool! …The Facehammer team report on the SCGT 2018 event. With two members in attendance and my viewpoint as a TO talk about our experience at the SCGT 2018. We discuss the armies at length and the winners of the painting prizes in the first half of the show as well as our recent hobby activity. In this show we review our trip to Adepticon in Schaumberg IL. We discuss the experience of our visit and the show takes a less gaming focus approach and more a convention review style. We end up talking about our social interactions as well as how we found playing in a new META / Environment and what we thought of the whole experience. The whole team was in attendance for the Blood & Glory Gaming Convention being held at The Roundhouse in Derby. It was 6 games of Generals Handbook 2017 using a 2000 point list. In this show we discuss our games and experiences from the event. More importantly we talk about cocktails and our night out! Sit back and get ready for some hammer to your face! 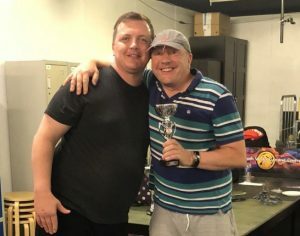 Battle Report, Chaos, Order, Podcast, Tactics, Tournament Coverage 0 comments on Episode 47: Age of Sigmar GT Final 2017! Episode 47: Age of Sigmar GT Final 2017! In this show we talk about the recent Age of Sigmar GT Final 2017 held at Warhammer World! We were all in attendance and many dice were rolled! In this show we are joined by special guest Tom Mawdsley to talk Fyreslayers and prep leading up to Blood & Glory. Tom talks through his list and how he intends on tackling the scenarios. Russ and Terry give a quick run down of what they are taking to the event and what they need to get finished! FaceHammer GT 2017 Lists now available! In this show we talk about Blackout, the first Generals Handbook 2017 event held in the UK, ran by Chris Tomlin of The Blacksun Podcast. All 4 of us attended and had an awesome weekend. Army Review, Chaos, Order, Review 1 comment on The Best Army in Age of Sigmar Matched Play! The Best Army in Age of Sigmar Matched Play! In this show we discuss “The Best Army in Age of Sigmar” focusing on Matched play and the power of the army. So what is the best army in Age of Sigmar? Tournament Pack, Video 0 comments on Facehammer GT 2017 Event Pack! 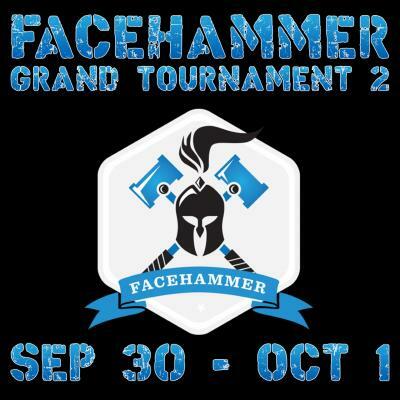 Facehammer GT 2017 Event Pack! The Facehammer GT 2017 event pack is now here! Army List Review, Chaos, High Elves, Kharadron Overlords, Order, Podcast, Tournament Prep 0 comments on Episode 43: Element Games Grand Slam Lists Review! Episode 43: Element Games Grand Slam Lists Review! Element Games Grand Slam Lists!